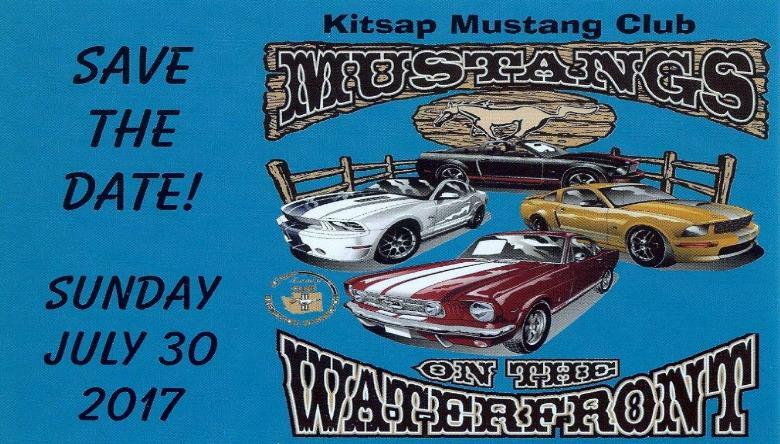 Located in Bremerton, Washington in the beautiful Pacific Northwest...Kitsap Mustang Club was formed in 1988, and is aimed toward anyone with a genuine interest in the Ford Mustang automobile. You do not have to own a pony to Join our Club. If you do own a Mustang, it can be of any vintage, model, color or condition! We welcome any true Mustang enthusiast with an interest in our Club! Come join us for our monthly meeting, weekly cruise nights, our annual "Mustangs on the Waterfront" Show, our annual Club banquet, our Adopt-a-Highway roadside clean-up, or any of our many fun Mustang related Tours and Events. We have over fifty dedicated, helpful, and fun members (& their Mustangs) who are currently enrolled in our Club. In KMC, members work together to help each other succeed with: locating pony parts, restoration projects, tips on Mustang preservation, automobile safety and most of all....WE HAVE FUN!